Phymetrix innovative products for Trace Moisture Measurement. A comprehensive line of fast, accurate, lightweight hand held portable dew point meters and bench top moisture analysers. Phymetrix bench top dewpoint meters are the only analysers with a built-in vacuum pump to allow sampling from low-pressure sampling sources. 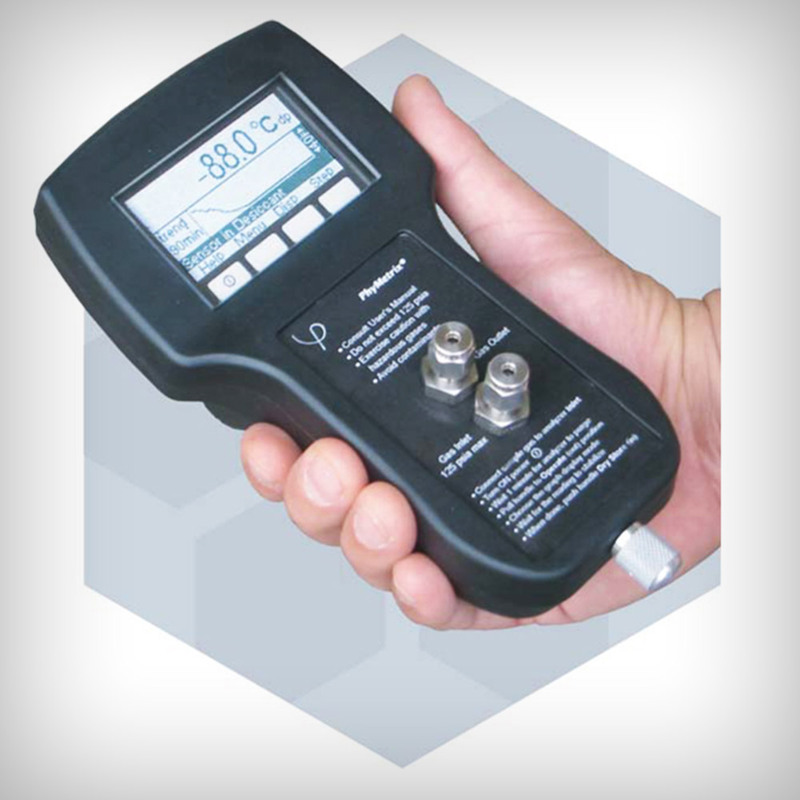 Phymetrix analysers unique features make them the most preferred instrument for measuring dewpoint in SF6 gases. The rugged, waterproof enclosures of the portable analysers combined with the Phymetrix proprietary leading edge nanopore sensor technology make the Phymetrix dewpoint analysers optimal for measuring moisture in Natural gas.